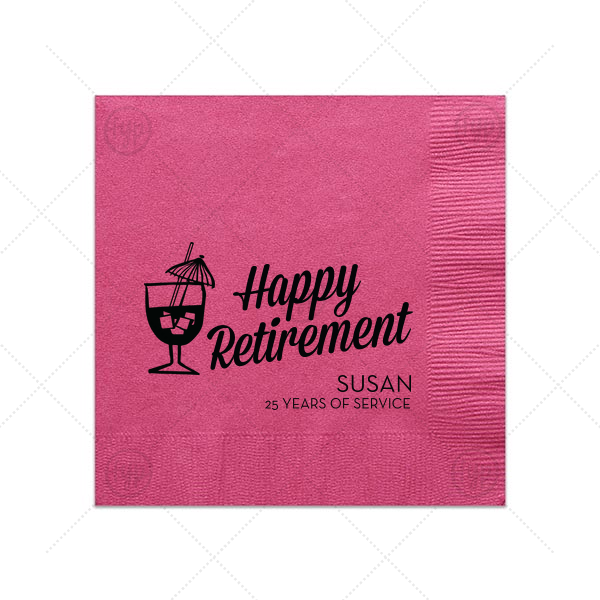 Custom Fuchsia Cocktail Napkin with Matte Black Foil Color has a Tiki Drink 2 graphic and is good for use in Drinks, Beach/Nautical themed parties and can be customized to complement every last detail of your party. Orders delivered as soon as 05.03.2019. Exclusions apply.